One way to save money on guinea pig supplies is to use a litter box. Instead of filling the cage with bedding you have to replace regularly, you can use litter pans in regular toilet spots and reusable bedding such as fleece everywhere else. Making your own homemade guinea pig litter box is easy with the right materials. Coroplast is a double-layered material used in outdoor signs, such as those you see during every election cycle. Art stores usually carry coroplast in large sheets, but if you have a company that makes signs near your home, you may be able to purchase a small scrap for a discount price. Be sure to explain what you need the material for, since the sign company may offer a steeper discount. For a 12-inch-square litter box, you need a sheet of coroplast that is 16 inches square. Draw straight lines 2 inches in from each edge, and score them with a knife, cutting through the top layer of plastic but not the bottom. Then, when you flip the sheet over, you can fold the sides up to create a box with a continuous, waterproof interior. If your pigs have difficulty stepping over the threshold, you can cut away part of one side to make it easier to get in and out. Place the litter box in an area of the cage your guinea pigs already favor, usually a corner near food and water. If your guinea pigs seem unsure of the new addition to the cage, you can pick one up and place him in the litter box to get him used to stepping in and out. You may need to place used bedding in the box the first time to encourage your guinea pigs to continue eliminating in that spot. Unfortunately, litter training a guinea pig is not a foolproof process. Guinea pigs have short digestive systems and poor bladder control, and they eat and drink constantly throughout the day. While you may be able to encourage your pets to do most of their business in a litter box, there will be accidents and not every guinea pig will be successful at litter training. However, using litter pans in the cage can help cut down on your supply costs and reduce odor, allowing you to change out soiled bedding quickly and easily. 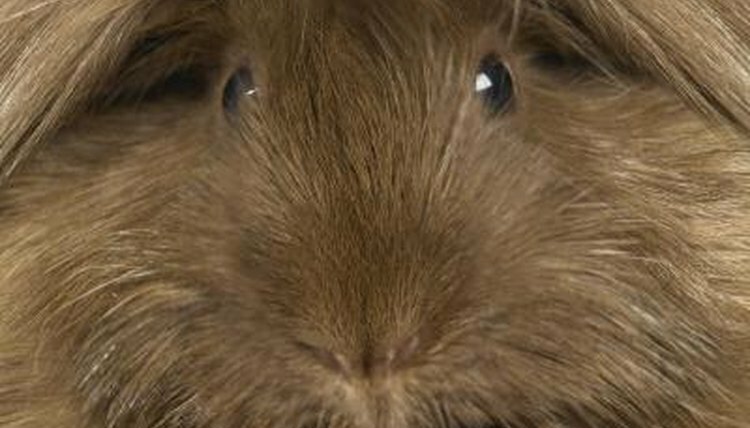 Guinea Pig Today: Litter Training Guinea Pigs: Is It Possible?